Borough Under 15 Girls captain Jas Murray parades the trophy at half-time during the local derby between Northampton Saints and Leicester Tigers. Peterborough Rugby Club won the inaugural Northampton Saints Under 15 Girls Tournament at the weekend, scoring 18 tries and conceding just one as they enjoyed victories over Buckingham, Kettering, Old Northamptonians and Towcester. Cody Youngman scored twice on her debut and Alba Howard claimed her first try since early October as the Borough girls demonstrated their strength in depth as they had four of their top players unavailable. Jorja Matchwick, Liv Hill, Mia Gilbert and Silva Seide scored the other tries. Back at Fengate, the Under 16 boys celebrated their biggest win of the season as they trounced visiting Luton 58-0. Six different players went over to score tries. 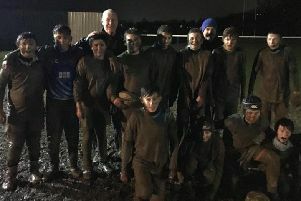 Borough Under 14s lost a friendly against Ampthill but demonstrated the true spirit of rugby as their parents raised over £100, by selling cakes at the club, for 10-year-old Harry Banks, a cancer sufferer from Ampthill whose cause has been supported by England captain Owen Farrell. The club’s Under 13 team came from behind to scrape a narrow 30-20 win away in a very physical game away against St Neots. 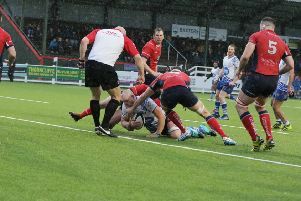 Having been 5-15 behind at half-time, the boys dug deep to finish the game with three unanswered tries to win the game. There were two tries for David Okeke and one apiece for Norbert Zastawnik, Jobe Lockyer, Mason Scrimshaw and Matthew Jima. The Under 12s enjoyed a 30-5 victory over visiting Rushden & Higham. Tim Scott crossed the line twice with the other tries scored by Monty James, Riley Kitchen, Jack Warrington and Jack Wheatley.